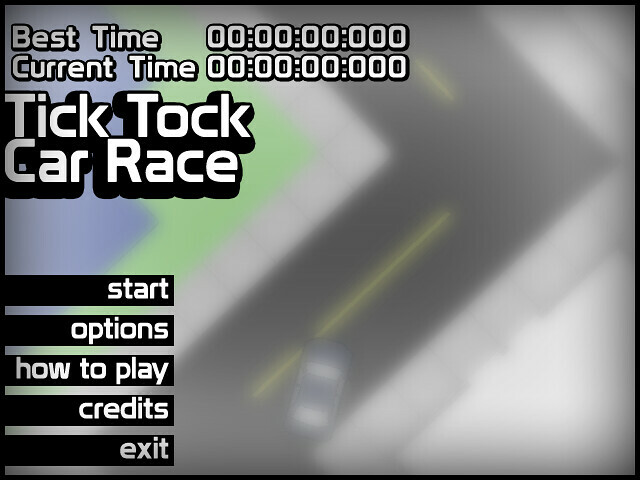 Here is the long overdue Wii port of my game Tick Tock Car Race. 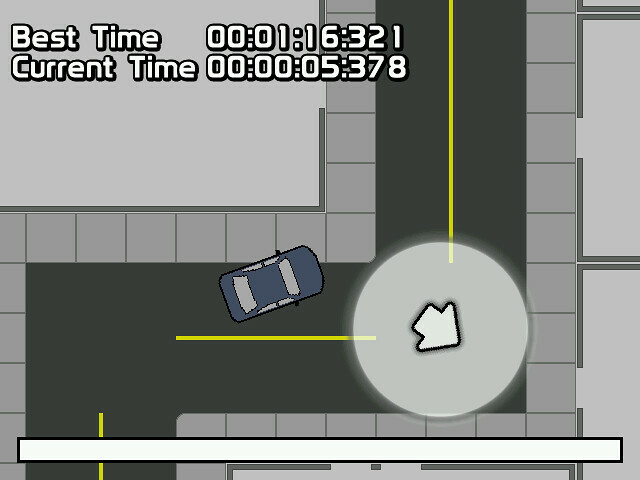 For anyone unfamiliar with it Tick Tock Car Race is a time based (you aren’t competing against anyone your goal is just to get as low a time as possible) racing game with destructible walls. Its now official. 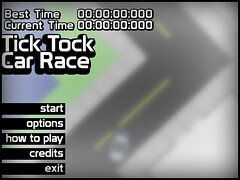 Tick Tock Car Race came in first place in the SDLTutorials.com car contest. Yay! It was a really close poll. Tick Tock Car Race only surpassed Hover Rally by two votes and if it where not for the ten vote lead that they where both given for being submitted in time for the initial deadline then Brum Brum Rally would have had enough to win. The voting has begun for the car race dev competition I entered a while back at SDLTutorials.com. Try out the entries and vote for whatever one you like the most. 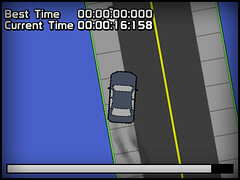 So here is what I put together for the SDLTutorials.com car contest. Its pre compiled for windows but includes the sorce code so you should be able to get it going on any other platform with SDL support. Its a bit of a mess but its functional and complete. Its looking like the deadline will likely be extended so I might go back and fix it up and add some better commenting. Either way I’ll port it to Wii sooner or later. Probably later rather then sooner though. I want to do a quick port/remake of Don’t Get Crushed for PS3, then I want to get the demo for The Prophecy complete which I have been repeatedly intending to do and then delaying, finally I really want to finish some things in Cubicle Shooter and by the time I finally finish those three things I’ll probably have seen something shiny to spend a decade chasing. Yay procrastination. 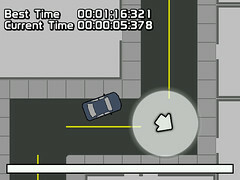 The music used in the game is Tarmac by et_. 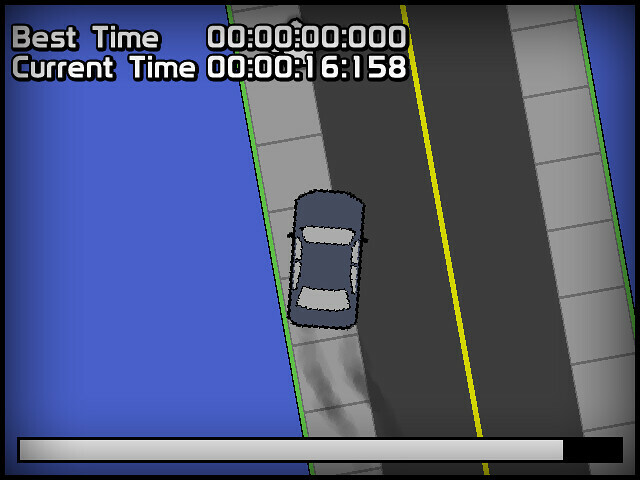 Just prior to turning my focus to PS3 homebrew I was working on, among other things, a 2D racing game made with SDL. I was making it for the latest contest going on at sdltutorials.com. It has some kinda cool stuff in it. There are destructible walls, a camera that rotates and zooms in real time (keep in mind that its a truly 2D game and doesn’t use OpenGL or in any way involve mapping things onto hardware accelerated polygons), sprite based text that isn’t mono space (a super simple thing but still something that I’ve never done before) and some old school style motion blur. But now the contest is reaching its conclusion and I don’t know what I should do. I can definitely get the game done in time. 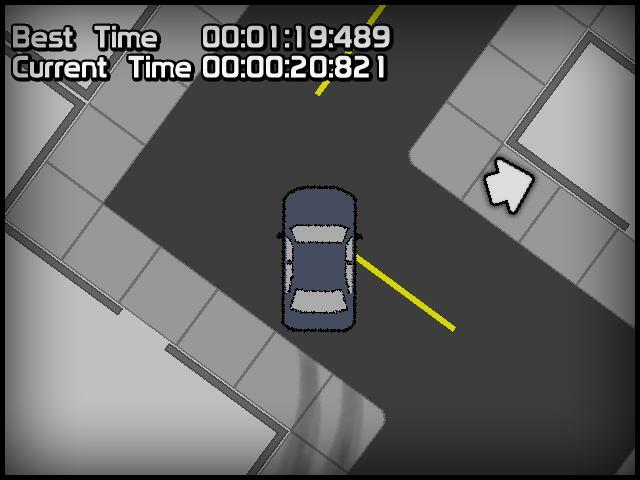 Perhaps not with AI controller cars to compete against but definitely as a time trial style racing game. Except I’m having doubts about whether or not I should submit it. I could potentially receive $20 USD in a pay pal account. Once the game is finished I could easily and quickly port it over to Wii which I’ve been feeling bad about abandoning for PS3. Feeling like a jerk. I still consider myself to be a noob and I did even learn some things that I didn’t know yet from their recent post about Alpha-blending in SDL. But I have actually been making games for a while now (one person on psx-scene referred to me as being prolific in the Wii homebrew community which I found amusing largely because the term prolific doesn’t actually imply anything about quality) and I havent actually been following the tutorials at sdltutorials.com (most of what I’ve learned has been from trial and error and random pages found on google and only viewed once). It never actually says in the rules that you need to have learned this much from this site or that this must be one of if not the first game you’ve developed. But its implied or at the least I perceived it to be.